We’d got used to Eskom’s load-shedding. We knew when it was coming and we could prepare for the dark hours. But we weren’t prepared for those dark hours that were clearly not load-shedding. What happens when you subject ailing electrical infrastructure to extreme power surges when the load-shedding is over and power comes back on? And that’s what’s been happening to us since February this year. The power comes back on, but the old cables can’t take it and the power goes off again. But there’s more. Over the past few years, ERA has been pressurising City Power to replace overhead copper cables with aluminium to discourage cable theft. 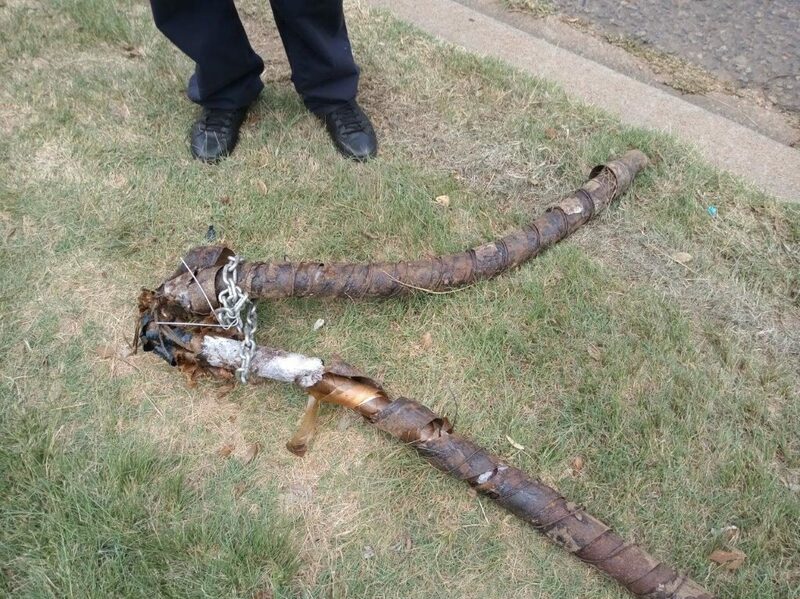 And we’d started seeing positive results: there were far fewer outages due to cable theft. “This cable is older than I am,” said the City Power supervisor in charge of replacing the old cable on Tana Road in early March (pic below). It caused huge parts of Emmarentia to be without electricity for more than 24 hours. But then Eskom’s load-shedding returned. And cable theft has shot up again—not just in Emmarentia but across the whole city. Recently Parkview CPF arranged a meeting with City Power and SAPS. They advised that any ‘repair’ activities taking place during load shedding are illegal and should be reported to 011 490 7900/7911/7553. There are also several ex-contractors to City Power who have either been fired or have had their contracts terminated who are trying to gain access to properties using their old ID cards. Phone in on the same numbers given above to check the validity of their ID cards before allowing them on to the property. Or call your security company. Since Saturday March 16, Eskom has been implementing Stage 4 bringing longer outages. A further problem is that when City Power switches back on, there is a huge demand on power and the system trips. City Power is urging residents to switch off the big power users when there is load-shedding eg. geysers, fridges, swimming pool motors and only switch them back on once the power has stabilised.